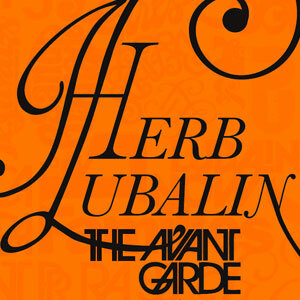 Herb Lubalin was probably one of the best brand identity designers in history of graphic design. He is also famous for his cooperation with his friend Ralph Ginzburg on three of Ginzburg’s magazines: Fact, Avant Garde and Eros. He was the brilliant talent behind the incredible visual beauty of these publications. His logo creations are worldwide known and he is one of the most influential brand identity designers of the 20th century. His career as a brand identity designer began at the age of seventeen. Herb entered Cooper Union, a privately funded art college located in Cooper Square in the East Village neighborhood of Manhattan. It only took him a few weeks to realize how fascinating the universe of typography was. During this period Lubalin was particularly interested in the differences in interpretation one could impose by changing from one typeface to another. Since this stage he was always fascinated by sound and look of words. It’s something that everybothy can see in his later works at Fact, Avant Garde and Eros magazines. He beacame a master of letters, additions, pieces of letters, combinations, connections. The “typographic impresario of our time,” Dorfsman called him, a man who “profoundly influenced and changed our vision and perception of letter forms, words and language. As one of the best brand identity designers in history he created a host of unforgetable logos during his wide career. Herb at his best delivered the shock of meaning through his typographic designs. Avant Garde and The Sarah Vaughn Sings are greatest evidences of his unlimited talent. People really can feel the love inside the Mother & Child logo and also the warmth in the family in Families logo. The most important contribution of herb to the history of brand identity design was the revolutionary way of building meaning, the life inside every letter, the symbolic use of color and, of course, the originality and power of all these new the graphic concepts.